Knock the door shall be opened. This is law! The Universe is calling to your power. It calls for you to find your gift in this life. Ask the question and listen to the answer! Seek your gift! Everyone has one. But you have to seek it, become conscious of it. Most are asking, how can I make more money, get more things, collect more stuff. How can I avoid pain? Instead ask what power is in me? How can I become more myself? How can I achieve my potential? Survivors!! It is not too late to become aware of the wonders that are inside you once you take the time to look. You can do it reflecting from the comfort of your sofa. You can ponder on a walk. You can discuss it with a trustworthy friend. Spend just five minutes out of your busy day on this quest for self-enlightenment and empowerment. You are not the past. You are the future. We all have power that we might think was taken away. We all have a gift that no one told us to look for. 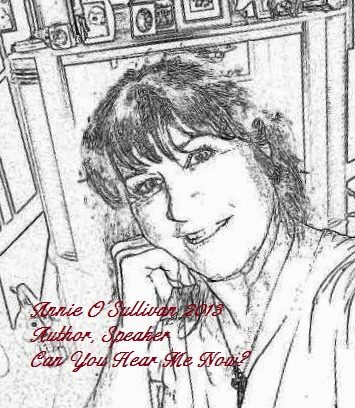 ← BLOGTALK With Annie O’Sullivan is back! Being a survivor of sexual, mental and physical abuse it’s always comforting to know others walk with you. This journey is hard. It’s a fight but it’s worth it. Great post Annie, makes me think what is in my myself, what gift do i have to give to others. Compassion and caring for others is what I have, Thanks.